What these papers basically say is that the U.S. Army Medical Research Institute of Infectious Diseases (USAMRIID) has known since at least 1995 that the reason Ebola hasn’t been airborne in the outbreaks in Africa in it’s native environment is because the climate it’s normally found in over there is too hot and humid for it to go airborne. In a colder, drier climate than central Africa (such as in most of the USA) it goes airborne and spreads as easily as the flu. The airborne version kills fast. During tests monkeys were exposed to airborne Ebola, which killed them in an average of 4 to 5 days. For survival and long term self-sufficiency use we view the .22LR to 12ga 2-3/4″ rifled adapter to be a very useful piece of gear. Our recommendation on this piece of gear has now changed from the Short Lane rifled ‘Zombie’ adapter to the slightly more expensive ($50 vs $40) rifled 2-3/4″ .22LR to 12ga ‘Pocket Sportsman’ model adapter made by GaugeMate. 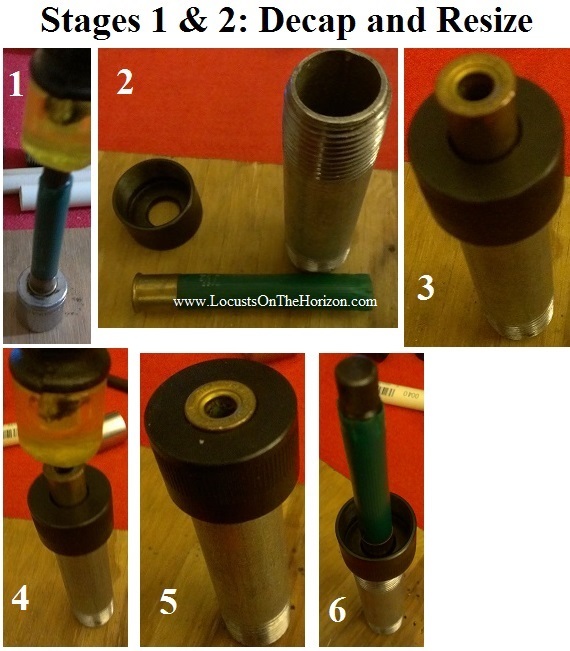 GaugeMate guarantees their rifled 2-3/4″ ‘Pocket Sportsman’ model adapter to work in a 12ga pump shotgun. GaugeMate carries a wide line of adapters, the best selection of any manufacturer, and they have a lot of experience making adapters. Their adapters are slightly more expensive, but its worth it. They stand by their product and they are well made. We had an older Short Lane 2-3/4″ .22LR to 12ga rifled ‘Zombie’ adapter that worked, and it was $10 less than the competition so it gained our recommendation. 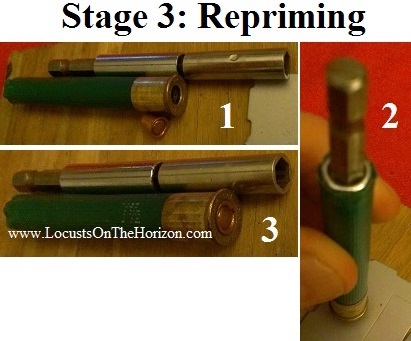 However, recently for an upcoming project, we bought a brand new updated one with the O-Ring and the thumbnail notch, and it is getting 4 misfires out of every 5 rounds. When we brought the matter up to Short Lane, they handled the matter only by saying that they only intend their adapters to be used in break actions. This was in spite of the fact that the adapter easily fits in a pump action and we were using it as a manual single shot in a weapon that fires the exact same ammunition as a break action. 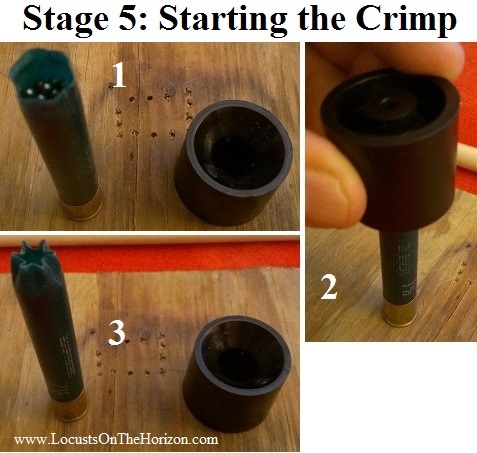 Hence we can no longer recommend the Short Lane .22LR rifled Zombie adapter for use in a pump shotgun, and updates to the books will be edited as such. 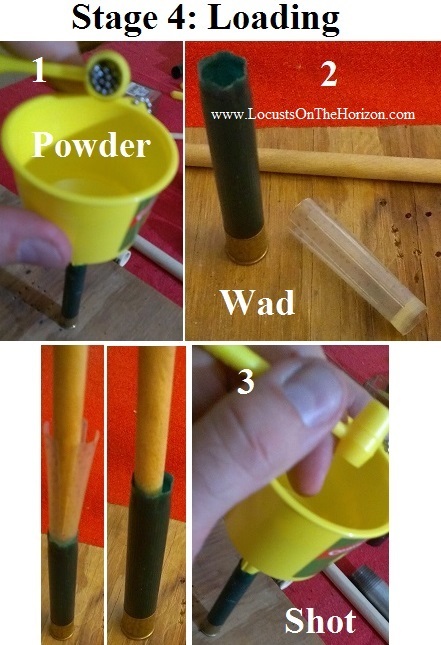 There is constant chatter, and even arguments in the prepper/survivalist crowd about the scenario that worries each of them the most. A wide variety of various things capable of causing concern can happen, given enough time. For example, some worry about a CME (Coronal Mass Ejection), from the sun hitting the Earth and frying all of the electronics. CME’s from the sun actually happen all of the time, but one hitting us is rare. A CME hitting the Earth is kind of like hitting a fly in the air with a bullet. CME’s also vary in strength. One hitting us with enough force to fry all of the world’s electrical systems in one fell swoop is even rarer than actually getting hit with one. A CME, the New Madrid fault giving way, a new plague virus hitting, an EMP attack, and many other things are all possible, but they are all also a ‘maybe’, and some of them are a huge ‘maybe’. However, there is an impeding crisis that is mathematically guaranteed to happen, it will happen soon, nothing can stop it, AND YOU ARE RUNNING OUT OF TIME. It is now a mathematical certainty that the US economy WILL CRASH, and it will crash hard. Those are simply the numbers speaking. It’s going to happen, there is no preventing it, and the country is now beyond the point of no return. 1) A Federal debt bigger than the GNP (Gross National Product) of the USA plus Federal unfunded liabilities bigger than the GWP (Gross World Product) of the entire planet. 2) A rapidly growing ‘fiscal death spiral’ (more people taking money from the government than paying into it) in more and more local and state governments. 3) A mass of returning US dollars, ditched by from overseas holders, that the US economy can only absorb 5% of before the value of the dollar starts to implode. 4) A derivatives bubble many times bigger than the GWP of the entire planet. The worst is the derivatives bubble. The banks openly admit that the bubble is about $231 Trillion. The real number, though is most likely much higher. Let’s put into perspective just how much money a ‘mere’ $1 Trillion actually is. A trillion is a million times a million. It is a thousand times a billion. If you went back to the day Jesus was born and you started spending $1 Million per day, every day, seven days a week, non-stop from then until now, you still would not have spent $1 Trillion. If just 10% of that derivatives bubble implodes (of just what the banks admit to) no Federal bailout package can plug a $23 Trillion hole. The result will be a series of cascading failures of financial institutions that will turn into an unstoppable economic avalanche. If Obamacare had not been enacted, those in Washington D.C. and at the Federal Reserve might have limped it along for several more years – maybe. However, Obamacare will be the blasting cap for the coming economic crash. The USA is already teetering on the edge of a major economic depression right now. Obamacare will be the proverbial “straw that broke the camel’s back”. For many years now, the Federal Government has been playing fast and loose with the numbers they show the public, and the deficits they have been running are much larger than the average person seems to understand them to be. Even the Wall Street Journal has talked about the real annual deficit being about five times what the public is commonly told it is. For example, if they taxed every individual and corporation in the USA at 100% of their income, the Federal Government would rake in $8 Trillion per year in income tax. However, just two programs alone, Social Security and Medicare, together cost the Federal Government $7 Trillion a year in payouts and that figure is growing. This situation is utterly unsustainable and would still be utterly unsustainable even if they taxed everyone at 100%. The estimated time range for when the economy will begin it’s death plunge into the Second Great Depression is most likely within one to three fiscal years of Obamacare starting. Obamacare starts on January 1, 2014, which is not very far away. Do not expect it to all happen overnight though, giving people a clean starting line. 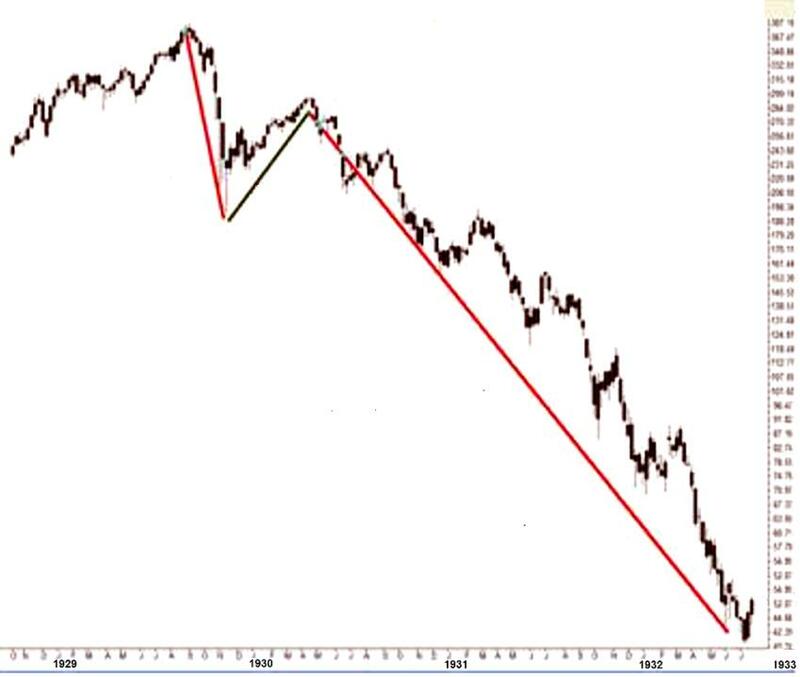 The initial crash during the last Great Depression took over two and a half years to bottom out, and along the way, it had six ‘dead cat bounces’, which were temporary rebounds that falsely gave the brief impression of a recovery. There have been a lot of assumptions and speculations about the coming economic collapse as a collapse of civilization, Mad Max, etc. 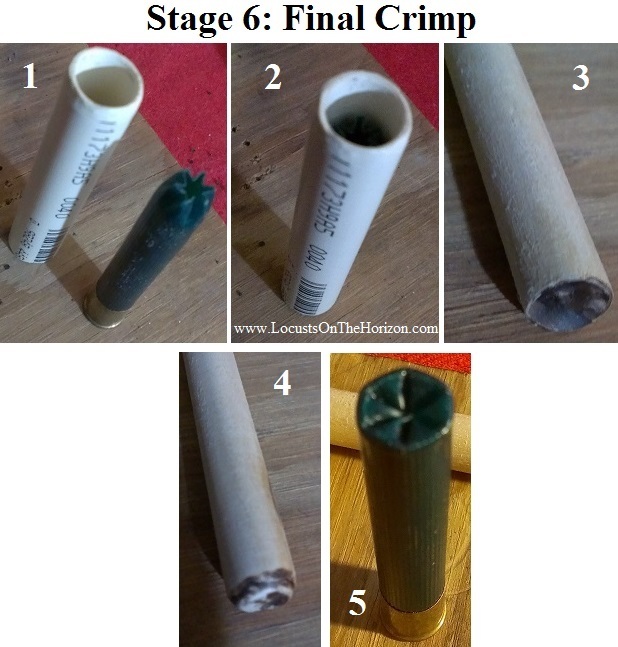 So, many have prepared for just this this scenario, focusing a significant percentage of their prepping resources on guns and ammo. In many ways, it will be much, much worse than a fictional Mad Max scenario. That is because the government ISN’T going away, and during a severe, long term crisis, the government is often one of the biggest problems people face on a regular basis. How do we know the government isn’t going to evaporate? No economic crash alone has ever destroyed a modern government and its bureaucracy, leaving a country in a state of pure anarchy. This is the case no matter how bad it gets, even to the point of the complete destruction of the national currency. Such events simply make governments more brutal and willing to bend or ignore their own laws. This is true even with countries that have had to lop more than twenty two zeros off of their inflated currency, such as Zimbabwe (formerly Rhodesia), or governments that had to simply abandon their currency and issue a new currency pegged to the currency of a foreign nation, such as Yugoslavia in 1994. 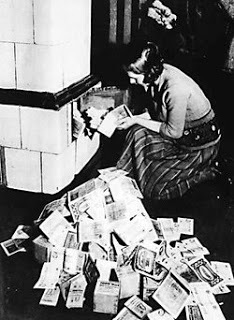 In post WWI Germany, the inflation was so bad at one point that housewives were heating their homes with bundles of worthless money. Yet, the country didn’t turn into Mad Max. Eventually, however, they did wind up with a dictator and tyranny. All of this can also be said of what happens to a government during a famine, and one result of a massive economic crash could easily be a famine. Famines don’t destroy national governments either. There is always some food to be had, and the first at the dinner table are always the ruling elite plus the troops and enforcers which keep them in power. There are a couple of good examples of this, one being how chubby and well fed Mao and his cohorts stayed during the Great Famine of China (aka ‘The Great Leap Forward’ of 1958-1963). Another was how Lenin and his ruling elite stayed fed and warm in Moscow during the famine winter of 1919-1920. One thing history shows is that rural people in a fixed location often suffered worse than those in the cities during a famine. A key reason for this is that all too often what tends to happen in a famine is that the government first restricts travel, especially into and out of the cities. The cities are then put on rations. They essentially lock down their power base. Cities are usually a power base while farms seldom are. The government then sends an overwhelming force of well-armed troops and enforcers into the countryside to strip it of food, like locusts, and bring it back to the cities. An important thing to understand is that the ultimate prepper in the USA isn’t some guy huddling in a homemade bunker with a military style semi-auto rifle, 5000 rounds of ammo, and 3000 cans of food. The ultimate prepper is the US Federal Government. They have spent trillions of dollars over the last few decades prepping and planning to survive anything and everything. They have prepared to survive things far worse than another Great Depression. The US Federal Government has massive storage facilities above and below ground, with food, fuel, guns, bombs, ammo, helicopters, medical supplies, spare nuclear weapons, etc. You name it; they have stored it, and usually in significant quantity. For years they even kept a grain elevator in Colorado filled with opium seed. Sitting in deep salt mines since the darkest days of the Cold War, the US Federal Government has stored vast numbers of pallets of a new replacement currency in case the value of the US dollar has been destroyed. It was expected that a nuclear war would wipe out the value of the existing currency, much like what many expect to happen during the coming Second Great Depression. Anyone who thinks that the Feds are not ready for this and don’t know what is coming are simply kidding themselves. For example, take a look at the massive, recent purchases of ammo and armored vehicles by the Department of Homeland Security. They can do math, they know what is coming. Like all other governments faced with a crisis, no matter what happens, their troops and enforcers will be paid with whatever new, official currency the Feds issue. These troops and enforcers will be fed and they will also be supplied with fuel and ammo to get their jobs done, even in a worst-case scenario. The Feds also view local governments in a crisis as sub-units of itself, and hence the local authorities will be paid, fed, and supplied with fuel and ammo, no matter how bad it gets. In a worst-case scenario all they have to do is follow orders, they get paid, and their families get fed. Want to guess what the local authorities are going to do in a severe crisis? However, there is one slender finger of government which has been shown itself to be vulnerable to a crisis, both in the past and also recently, and that is social services (welfare, housing, etc.). You cannot depend upon these. In a crisis, governments traditionally fall back upon the “Three B’s”, which are Broadcasts, Bullhorns, and Bullets. Being ‘extravagant’ to the hungry and homeless is seldom at the top of the ‘to do’ list. Just remember, that during the last Great Depression, the national and local governments often didn’t show too much hesitation on using live ammo on civilians when they felt they needed to. The government not going away and civilization not vanishing means that everyone will be faced with a scenario which too many preppers and survivalists simply are not prepared to face. Unlike the mythical Mad Max scenario, this is a reality that people will not be able to simply shoot their way out of. You can have the best survival retreat imaginable, but if it isn’t paid off and the gears of society are still functioning you WILL get foreclosed upon if you lack the income or hard currency to pay it off. This happened all of the time during the last Great Depression. A great many of the houses and farms seized back then were 90% paid off. Millions will still have to pay mortgages, rents, and property taxes with the official government or central bank issued currency at that time. For taxes and mortgages, the government and the banks will NOT take sacks of beans, a few chickens, or a case of ammo in barter. They want your money or your land (mostly, they just want your land for cheap). You will have to obtain this official currency at a time when unemployment is probably at 50% or greater. To make matters more difficult, those people who might want to buy that bag of beans, some of those chickens, or that case of ammo from you will more than likely want to trade you something instead, because they will also lack currency. The banks (most likely massively consolidated at that point) will be playing on this since they plan on grabbing as much real estate as possible in this country for as cheap as possible. This is not speculation. This is what happened during the last Great Depression. The massive unemployment caused by the Great Depression of the 1930’s lasted more than a decade, and the stock market didn’t recover for twenty five years. The depression era unemployment really didn’t end for most people until WWII happened, and the US government, unencumbered at the time by debt, whipped out the credit card and spent money like water. 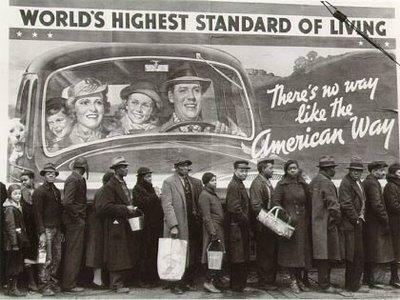 For most people, their standard of living really didn’t start to rise out of Great Depression levels till a couple of years after WWII was over. This time around, however, the Federal credit card is maxxed out. So, for the Federal Government it will be cash and carry, plus maybe the proceeds from the sale of Federally controlled resources, such as national parks and BLM wilderness lands. You can bet that the big international banks and a few foreign governments will be chomping at the bit for those sales to happen. During the last Great Depression, lots of America’s industry was simply idle but it was still there. The USA had so much industry back then that during WWII just one American city, Pittsburg, Pennsylvania, produced more steel than Hitler’s entire Third Reich. This time, so much of America’s industry has been shipped out of the country that there isn’t the massive amount of industry in proportion to the population just lying there, waiting to be turned on and employ everyone, like last time. One of the great lies fed to the American public for years is that a ‘service’ based economy is somehow a good thing. For real prosperity to happen for the working, middle class, a nation needs manufacturing jobs. After the crash, the USA as a whole will still be functioning, but it will be knocked down to the economic level of Latin American nations like Mexico or Bolivia. The recovery most likely will take decades. Unless things in Washington D.C. change radically, the USA will never recover from it and will remain a ‘has been’ in the history books. Even at the moment the situation is not pretty. The majority of American families right now are between 1 to 3 missing paychecks away from financial disaster and possible homelessness. A whopping 67% of American households have $1000 or less in the bank at the end of every month after the rent or mortgage, plus other bills, are paid. The majority of those people, 2/3 of them, about 40% of the American population, have $500 or less in the bank after the rent or mortgage, plus other bills, are paid. The fact is that most Americans right now, especially the working middle class, simply cannot afford rural land with a small farm or a self-sufficient survival retreat. They might as well be daydreaming of having a James Bond super-villain volcano fortress. Simply hanging onto the their existing shelter which they have at the moment is a continuous worry for most Americans, who pay a significant portion of their income every month to rent or to a mortgage. As the crash worsens, a rapidly growing multitude won’t be able to hang on to even that. The first two problems many will face is unemployment, followed by being evicted from their dwelling due to falling behind on their rent or mortgage after becoming unemployed. While a small minority of families have a survival retreat or a rural farm, most don’t, and many of those that do still have a mortgage on the property. For those that do have one, but don’t have it paid off, you probably only have 36 months or less (probably less) before the crash hits. Even after the crash, you will then still have to worry about property taxes, just like during the last Great Depression. Remember, the banks and their buddies in the local government want your land, and they want it for cheap. For those who remain stuck in a city, they will have a rough row to hoe. Cities during a major crash have their own brand of misery. Many expect cities to simply empty out, like in a fiction novel, and the hungry masses to scour the countryside. There seems to be a whole mythos based around this happening. However, history has shown that no matter how bad it gets, cities never actually empty out en-mass, except due to war, and then only under exceptional circumstances. If you get stuck in a city, all is not lost. Even in the event of an absolute worst case situation, such as a war or a famine, cities can be survivable. 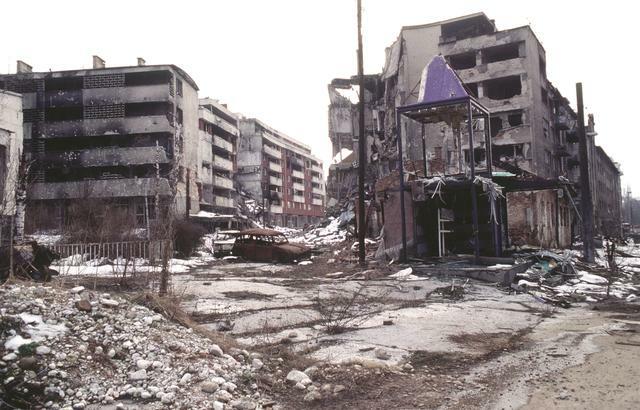 Sarajevo after months of siege. 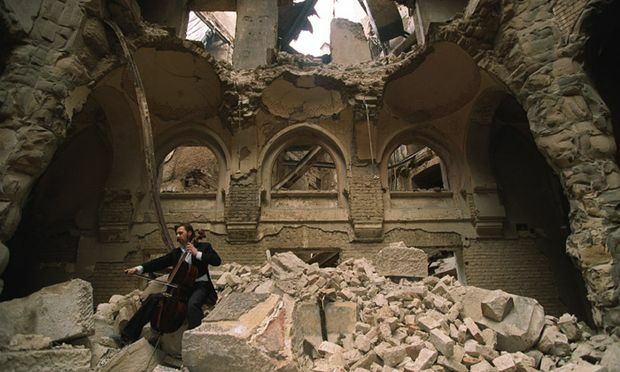 Sarajevo was on the upper scale of bad experiences in a city when in the 1990’s it suffered the longest siege of a capital city in the history of modern warfare. The peak of the siege lasted a year, but the city wasn’t totally free of enemy siege for forty four months. 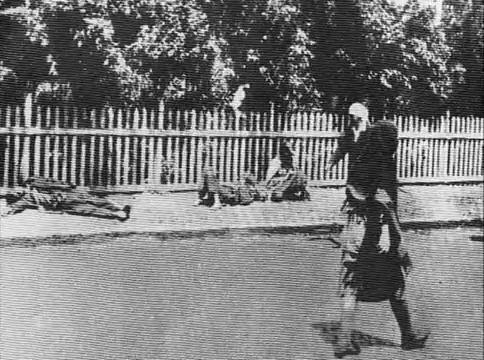 During the first year, when the siege was at its peak, most civilians were cut off from electricity and regular food shipments for months. According to some modern prepper speculation, 80% to 90% should have died in that city in the first few months, from the lack of electricity if nothing else. Yet, 97% of the population of Sarajevo survived the siege. The trick was to not be in the 3% that didn’t. However, those that survived were deeply effected by the event. If you already have a place out in the country, self-sufficient in water, food, etc., and it’s totally paid off, then be happy, because you are in a very small minority of people. Your average working, middle class, American family simply cannot afford to do this. Those who preach that getting a rural retreat is what you MUST do are essentially preaching a dream that is unobtainable in any practical sense by most working, middle class families. So, what options is your average family left with? You can fill a rented apartment or a mortgaged house with food, but what if you get evicted? The answer is quite simple, if you do not have a retreat to go to, then bring the retreat with you. After all, nomadic people have been doing this quite successfully for thousands of years. One of the misconceptions about being ‘nomadic’ is that you are constantly travelling. This is not true. To be nomadic is simply to have the ability to relocate when you need to. It’s actually quite common for nomads to stay in one spot for lengthy periods of time. However, when the situation calls for it, the ability of nomads to move is why they are some of the oldest and most durable cultures on Earth. They are the original survivalists. 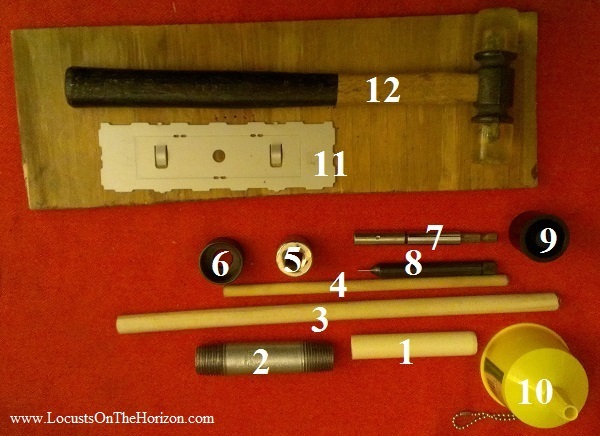 For the Locusts on the Horizon project, one of the goals was to have something portable, yet sustainable. To be sustainable for long periods of time you needed a homestead with similar capabilities when compared to a fixed location retreat or a farm, yet still be portable. The concept had to be both realistically affordable by your average, working, middle class family, yet flexible enough to adapt to a variety of locations and situations. 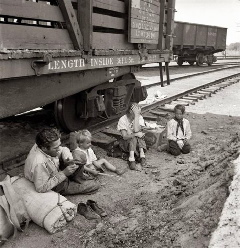 History shows that during the last Great Depression, the families that fared the best were often the ones who were able to relocate to follow work. This happened a lot during the last Great Depression, and a lot of people are doing that now. All too often, those who stayed in one spot and tried to ride it out found themselves economically ground to pieces and sometimes even facing starvation. In a really bad situation (for example: a war, a plague, or a famine) a family might need to retreat to a remote location, such as deep into a national forest or someplace similar. If a family has relatives or friends with a rural property they can go to, they would be far more welcome if they had their own dwelling and other things with them. All in all, history shows that the ability to relocate and adapt to changing circumstances is paramount. Doing this with your own shelter and resources can save not only much misery, but the lives of your family. Home is where you make it. The answer to this a concept we call ‘MASH’ – Mobile Adaptable Sustainable Homestead. For those of us with military backgrounds, we knew that the military has been doing much of this quite successfully for a long time. One of the closest ideals to what was needed was the old, decommissioned, MASH units (Mobile Army Surgical Hospital), which were essentially a portable village. The general idea of a portable village was scaled down to that of a single family homestead which can be packed up in relatively short notice and moved, yet still be durable enough to stay in one place for weeks, months, or even years if need be. This is something that your average, working, middle class family can actually afford to do. If you want to make it an actual village, then several families with MASH setups can team up. 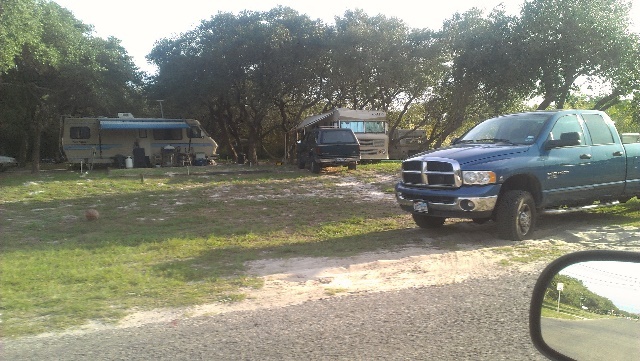 There are several ways to do this within almost any budget, such as with an old RV or a used, fixer-upper camper trailer bought for not too much. 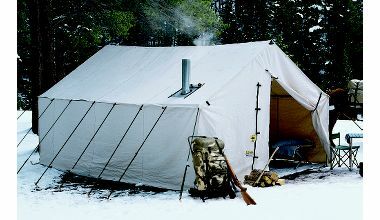 A US Army surplus tent with a wood stove, or a large outfitter style tent with a wood stove will also work. The primary ingredient is a vehicle, something which most American families already have. A population capable of being mobile is a population that is free. People with nomadic capabilities have always been the hardest to kill off, oppress, or control. Most of all, this is something that people can actually afford to do right now, not just dream about maybe doing it someday. The clock is ticking, and time for families to actually get something done is running out fast. One thing which has been shown by the Irish famine, and other examples, is that you can have famine conditions ravaging the population, even when plenty of food is in the country. 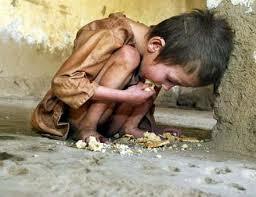 If that food doesn’t get to you, you can’t eat it. The American food distribution system is very vulnerable to disruption or intentional manipulation. Your average supermarket, if they didn’t restock every night, would be out of food in three days, less for the more popular items, and that is with no panic or impending emergency, such as an approaching hurricane. The average food item on those supermarket shelves has travelled between 1200 to 1500 miles in order to get there. Food distribution in the USA is highly centralized, with large, mass market food chains dominating the market. For the most part, the local mom and pop grocery store is a thing of the past. The mass market retailers all maintain huge regional warehouses spaced around their market regions to serve as the collection and holding points for all of the food which eventually winds up on shelves to buy. All of this is totally reliant upon fleets of trucks to carry the food to various stores in a daily, unending stream of delivery. Since the demise of much of the railroad system, except for the large, main lines used for long distance, heavy freight hauling, the US is reliant upon the far less fuel efficient method of carrying everything by diesel trucks. Another of the horrifying things which the Irish famine shows is the danger of having a nation’s own food supply both priced out of reach of starving people, and also exported out of a starving country to the highest bidder. A warning of this impending danger to the USA and its people was mentioned in a face to face talk one of our staff had with Lester R. Brown back in 1995. The Washington Post has called Lester Brown “one of the world’s most influential thinkers.” In 1974, with the financial support of the Rockefeller Brothers Fund, Lester Brown founded the Worldwatch Institute, the first research institute devoted to the analysis of global environmental issues. Brown also headed the US Department of Agriculture’s International Agricultural Development Service from 1966 to 1969. His primary job was to increase food production in underdeveloped countries. During a personal conversation in 1995, Brown mentioned to one of our staff that sometime in the not too distant future, there would be a danger of food skyrocketing in value, and the food supply of nations would be up for grabs on the world market to the highest bidder. Brown talked about how the biggest change in the dynamic of the food market was going to be China, noting how it was poised at that time to be the economic titan, which, 18 years later, we can now see that it has evolved into. His point was that since the population of China was so huge, a large growth in their prosperity would cause a surge on the worldwide food market which the market would not be able to adequately handle. For example, Lester Brown said, what if every person in China wanted to eat one extra egg per day? That is 1.3 billion extra eggs, per day, which the market suddenly has to supply. Then you have to calculate the number of extra chickens needed to lay an extra 1.3 billion eggs per day, plus the amount of grain needed to feed those chickens, the extra water, etc. What if every Chinese family wanted to eat an extra chicken per week in addition to everyone wanting that one extra egg per day? When you look at the numbers, it is staggering. Add that to the fact that a large percentage of China is a sparse, barren desert, and growing Chinese cities are erasing domestic Chinese cropland for industrialization. Meanwhile Chinese food production is stagnating, and yet China’s population, even with their official ‘one child’ policy, still grows at the equivalent of a new Beijing each year. Where will they get all of the extra food? They will simply buy it on the world market, and now, with China’s prosperity, they have the cash to outbid competitors for that food. Now, 18 years later, we see Lester Brown’s warnings about rising food prices and competition on the world food market beginning to become a problem. This is affecting Americans buying food at the local supermarket as well as hundreds of millions around the world already living on the knife’s edge of starvation. The world food supply is dominated by relatively small handful of huge, monopolistic, transnational corporations which often act in concert together, like a cartel. These companies cycle people into and out of the US Department of Agriculture (USDA) and the Food and Drug Administration (FDA) on a ‘revolving door’. This is a practice much like what the large transnational banking interests do, such as Goldman Sachs, with agencies which concern them, such as the SEC. The global food merchants have their own satellite surveillance and intelligence networks for tracking the worldwide crop situation and food markets which often will rival most government intelligence agencies in the world in terms of capability and efficiency. They know day by day what the food supply and crop situation is pretty much everywhere in the world. Through a spider web of ownership, these companies, which are transnational in nature, tend to have a top down style of complete control of the entire chain of food production, from the field to the final, packaged food product you buy on the supermarket shelf. They set the prices the farmers get for their produce, and work in concert with, or even outright control, the local banks and credit unions which control the credit the farmers receive so they can operate. Their people on a revolving door with government agencies, such as the USDA, plus lobbying members of Congress with plenty of cash, ensure that government programs and how they are allocated, like farm subsidies for example, work in concert with their goals. Over the last few decades, these companies have been gradually squeezing out more and more family farms in the USA in favor of large agribusiness operations, which they own, either directly or through subsidiaries. Some of biggest of these companies are dominated by a handful of families who have been at this business for a long time, sometimes for many generations. Traditionally, these families have kept a very low profile while making their vast fortunes. They got into that habit long ago because their companies have shown a tendency over the years for unscrupulous business practices. These practices include occasionally jacking up food prices during times of shortages and hunger, and exporting the local food crops out of countries that need the food, provided that the price is good enough. People tend to get angry when that happens, just ask the Irish. A harbinger of things to come reared its head in big way the early 1970’s. An event occurred which was good example of America’s own food supply being sold out from under the feet of the American people by the global food merchants to the highest bidder. Fortunately for your average American, at the time this event occurred the USA still had the strength and wealth to take the hit. Due to sharply dropping farm yields in the Soviet Union in the early 1970’s, the Soviets needed to buy an enormous amount of food. In 1972, in a move which went unnoticed at the time, the USDA removed certain export licensing regulations at a convenient time for the global food merchants to quietly sell a huge percentage of the US grain reserves to Exportkhleb, the Soviet Union’s buying agency, for a very large pile of cold, hard cash. The following year, in 1973, the US was hit by the sharpest price increases on food since the US Civil War due to a massive grain shortage. The US experienced a rapid, across the board 23% increase in the price of food, with a 26.4% increase in the price of meat (which is fed grain), and a 28.2% increase in the price of grain products such as bread. The CIA later claimed that it tried to warn the USDA about what the Soviets were going to do. The officials at the USDA later claimed to a congressional hearing that the warning ‘got lost in the bureaucratic cracks’. Yes, your food supply is up for grabs to the highest bidder, and it has been for quite a while. Fortunately for us, so far we have usually been the highest bidder for our food. The growing competition on the world market for food resources, and the subsequently increasing food prices, are happening at a time when the clock is ticking on the American economy. It’s now more of a matter of simple math, rather than speculation, that the US economy is heading towards the most severe economic depression in its history. What all of this means is that the American people are in grave danger from a very unstable food supply, and from multiple causes. One of the biggest dangers will be when Americans are no longer the highest bidder for their own food. Then, thanks to global ‘free trade’, that food goes someplace else other than your local supermarket and your table. When that happens, the mechanisms of supply and demand with scarcity start to accelerate, and price inflation will kick in. By observing what happened at the Sukharevka, everyone can see how rapidly such a situation can spiral out of control. Yes, it can happen here, very easily. There are too many forces pushing in that direction, and few pushing against it. At the current time, you have a window of opportunity to prepare with food prices which are still relatively inexpensive. This window will not be open indefinitely.